In book fourteen, George is not pleased when Berta, a spoilt American girl, turns up at Kirrin Cottage in the dead of night. But George hasn't got time to be jealous, Berta is in hiding from kidnappers. 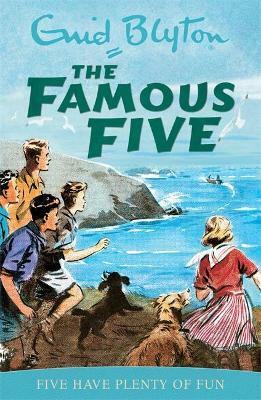 The Famous Five are the only ones who can protect her - but will they take on dangerous criminals to help out a stranger?